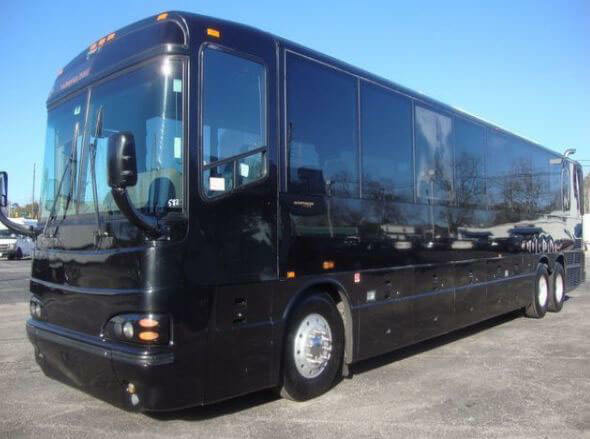 Compare pricing for party buses in Four Corners Florida. 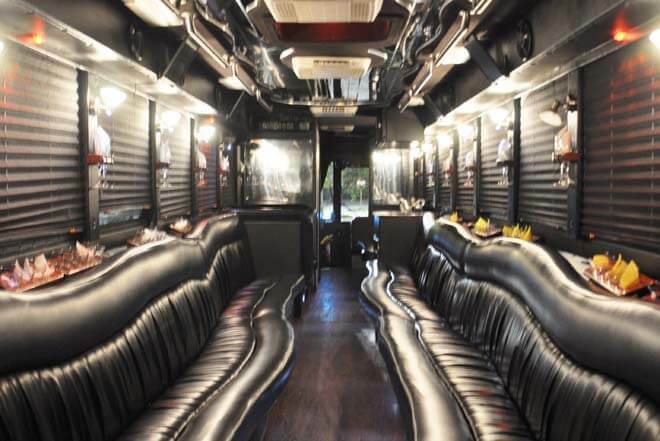 Best affordable party bus rentals in Four Corners, FL. Price4Limo has over 12,000 vehicles in our inventory with photos and prices for you to choose for your transportation needs. Getting a free quote takes less than 30 seconds and no email is required! Party Bus Four Corners, FL. Four Corners Party Buses provide limo bus, charter bus and limousine transportation throughout the four counties of Osceola, Lake, Orange and Polk. Also known as Citrus Ridge, Florida, Four Corners is the geographical point where all these counties meet and is a part of both the Orlando-Kissimmee Metropolitan Area and Lakeland-Winter Haven Metro. The party bus service of Four Corners is an extremely safe, comfortable and affordable ride to all of the night life and attractions Central Florida has to offer. Citrus Ridge Party Buses are great for airport transportation to Orlando International Airport (MCO) and any of the smaller regional airports or Tampa International. Our Seaport transfers are unbeatable for family reunions or any size group. Enjoy complimentary soda and water as you ride safely to the Port of Tampa or Port Canaveral for your Carnival or Disney Cruise. Preview Four Corners Party Bus and Limo Fleet. Party Buses in Four Corners can make all the difference for a birthday party. Especially a 21st birthday party, when everyone wants to drink. To prevent diving while over the legal limit and putting your life and the lives of others in jeopardy, you should rent a party bus in Four Corners, Florida. Everyone will be able to get picked up and dropped off with our door to door service. 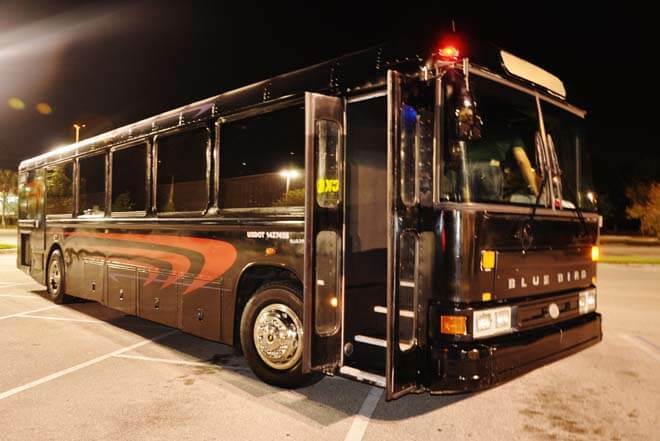 VIP Shuttle buses in Citrus Grove will have you riding in style with your closest friends as you head to the night clubs of Ybor City or take I-4 to Club Bliss in downtown Orlando. If you like Country Music, head to Kissimmee's only Country Bar Gator Alley. A limo bus in Four Corners or Citrus Grove is good for any birthday party. Out Hot Pink Hummer Limos are perfect for a bachelorette party or quinceanera in the Four Corners section of Central Florida. There are many things to do in the Four Corners region of West Central Florida. Citrus Ridge Party Buses and Limos make everything from a wedding to a night on the town more enjoyable and safer for all of your guests. Take a tour bus to Busch Gardens in Tampa or catch the Lakeland Air Show. Use an entertainer bus to take you and your band all over the Sunshine state as you play sold out concerts. Less expensive than a taxi, the party bus service of Citrus Ridge and the Four Corners charges a flat rate and always the lowest rate possible. No one can match the selection of limos, buses and shuttles that Price 4 Limo has throughout Florida. Our team of mechanics and drivers are standing by to help you and your guests have the best time possible while traveling us. Price4Limo's Party Bus and Limo Service in Four Corners, Florida is always here to serve your transportation needs. From airline transportation to executive car service and corporate buses, our team can fit any situation. Partying is a way of life in Central Florida and we know how to do it right. 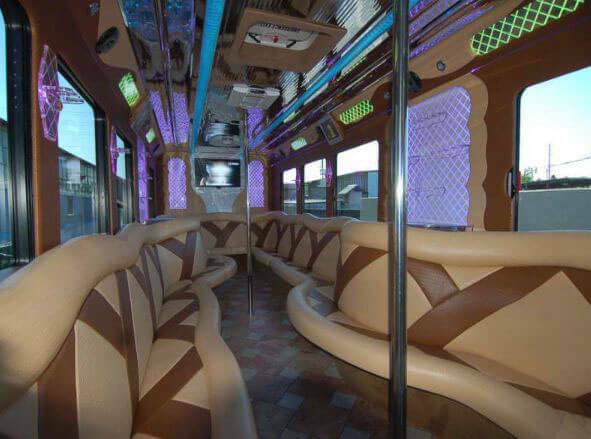 When planning your next event, consider a party bus service in the Four Corners or Citrus Ridge. With Price 4 Limo, you will receive a discount after using us just once. Fill out the information and request your limo or party bus quote today.